In a large bowl mix (use hand mixer) the egg whites with sifted icing sugar until you get a stiff mixture (when taking out the mixer, peaks should form). Sift in the plain flour and fold it in using a wooden spoon. Fold in the walnuts. Pour the mix into a loaf tin lined with baking paper (to see how to line cake tins, see our video: https://www.youtube.com/watch?v=L9vJy-SeHEc ) and bake at 180 ⁰C for 35 -40 minutes. Take out from the oven and wrap in a tin foil when still hot. Leave it to cool down and then place in your fridge. Keep it in the fridge overnight. Cut the loaf into very thin slices (maximum 0.5 cm wide). Place the slices on a baking tray lined with baking paper and put back in the oven. Bake at 100⁰C for 45 minutes. Once ready, let them cool off and keep in an airtight container. Enjoy by dipping them in your favourite tea or coffee! 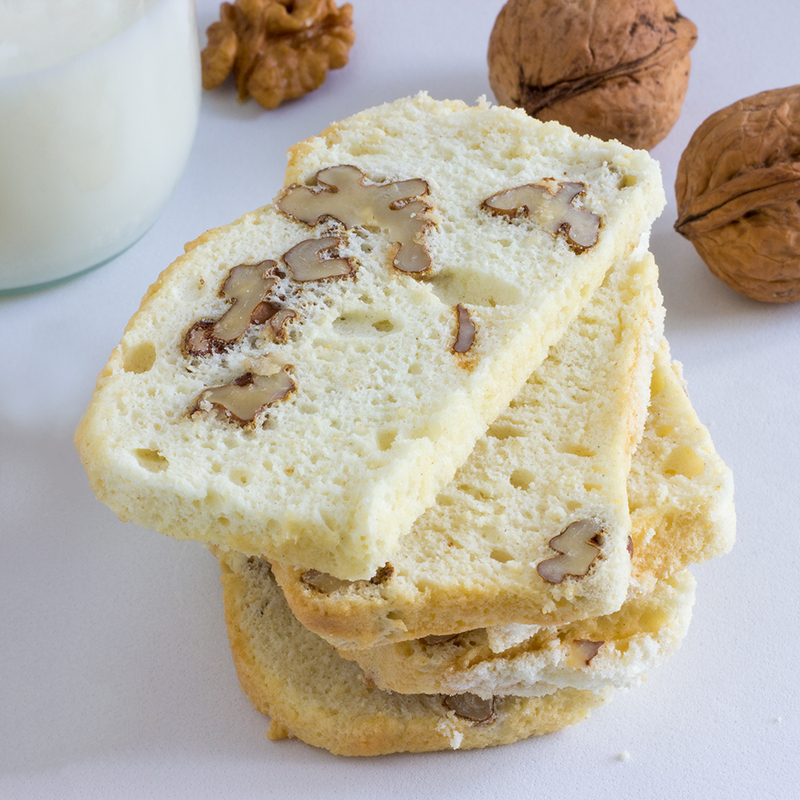 Biscotti are dry, twice-baked biscuits that originated in Italy. The traditional recipes contain almonds, pistachios, hazelnut or pine nuts. Nowadays people also use also various seeds, glazes and flavourings. 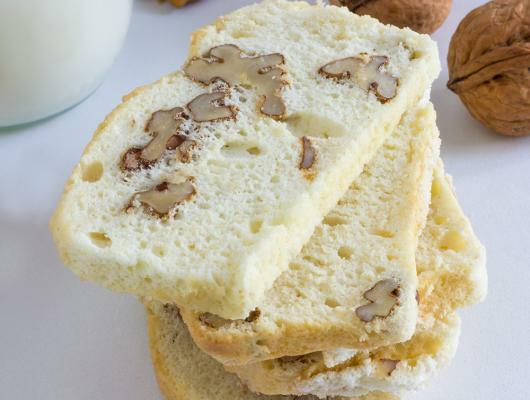 Biscotti can last for a long time if stored in an airtight container. Wrapped in cellophane or placed in a nice box they will make a great present for your loved ones. This recipe doesn’t contain egg yolks and the biscotti are cut really thin.